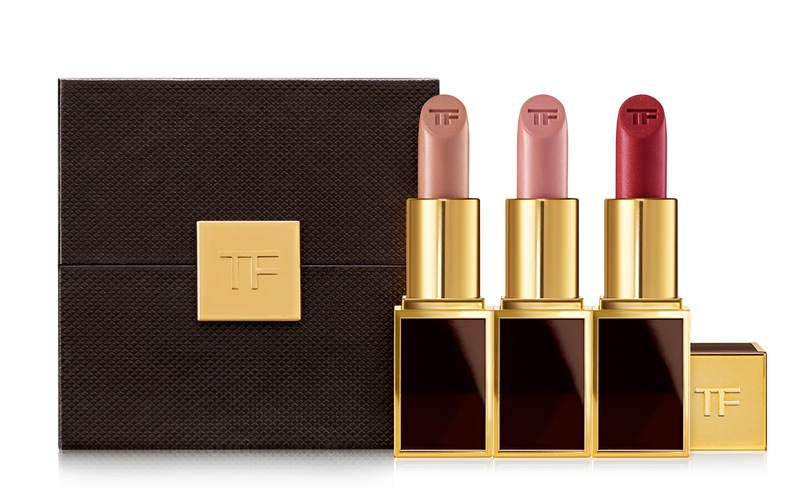 It wouldn’t be an understatement to say that Tom Ford lipsticks are some of the most sought after in the beauty world; and rightly so. The creamy textures, long lasting formulations, exceptional colour payoff and luxurious packaging make for a unique makeup experience. So we lipstick lovers in the Middle East wait on tenterhooks for each new launch from beauty’s new makeup maestro. Having launched at the end of 2014 elsewhere, I’m beyond overjoyed that the Lips & Boys collection has finally launched in the region. All fifty shades (yes FIFTY) honour significant men, past and present, in Ford’s life- from intimates and inspirational figures to colleagues and acquaintances. Addison is Ford’s nephew, Rory is his best friend; Alexander is the designer’s toddler son, whose nickname is Jack- a stunning violet hue also featured in the range. The limited edition lineup offers 10 shade ranges, including nudes and browns, violets and plums, metallics, light pinks and classic reds. With a base of Brazilian murumuru butter, soja seed extract and chamomilla flower oil, the rich pigment lipsticks not only provide a high-impact shot of colour, they’re also ultra-moisturising with incomparable smoothness and comfortable wear. 36 of the shades are brand new, whilst 10 are from the existing Velvet Suede colour story but have been renamed and four are from previous collections. The lipsticks come in a chic new miniature size, perfectly suited to the most petite of clutches. With Julian it was love at first sight, but my love for Alisdhair and Diego knows no bounds. As Mr. Ford so aptly put it himself, “why commit to one when you can have several?” When it comes to lipstick, I couldn’t agree more. Click through the gallery to see the full collection.